NigeriaTrends | ABUJA — Nigerian Government says Britons in the UK are now buying made-in-Nigeria suits, according to statements made by Senior Special Assistant to the President on Foreign Affairs and Diaspora Matters. The Federal Government’s policy of patronising made-in-Nigeria goods by the citizens is yielding results as some citizens of the United Kingdom now order for Nigeria locally made suits. This came as Nigerian citizens residing in China have appealed to the Federal Government to involve them in any bilateral relations so that they could make some expertise inputs that will benefit the country. Senior Special Assistant to the President on Foreign Affairs and Diaspora Matters, Mrs. Abike Dabiri-Eruwa, who disclosed the remarkable improvement the made-in-Nigeria goods have made when she received some Nigerians living in the United Kingdom and the People Republic of China, who paid her a visit at the Presidential Villa, said the economic challenges the administration met had helped it to look inwards. She advised the youths to be good ambassadors of the country and identify with the government at their home country. What is your reaction to this story? 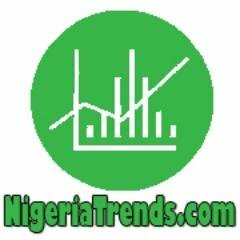 Share your thoughts on NigeriaTrends.com!